There is a stark upward trend in the aging of affordable housing properties and it does not appear to be tapering anytime soon. In fact, aging housing inventory is on the rise and has continued to increase year-over-year with a peak expected in the year 2024. 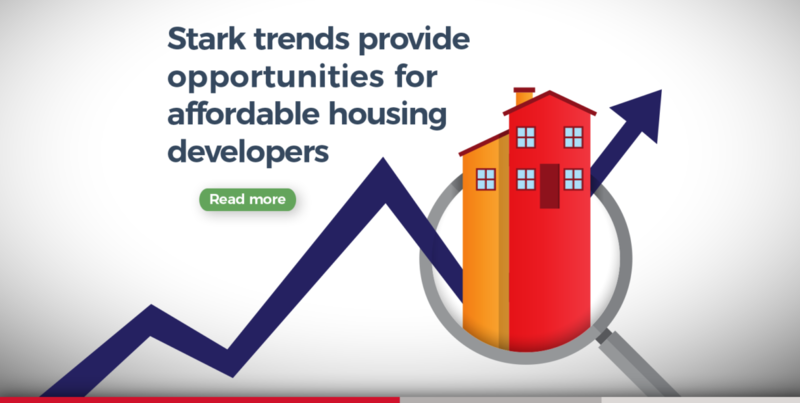 This trend provides opportunities for affordable housing developers. 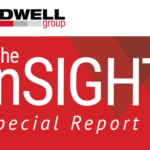 Tidwell Group shares insight on how developers can address aging inventory in a way that provides a lucrative advantage. As housing properties age, a financing solution is needed to keep the properties in compliance and on-line. Tax credits can provide a part of the financing solution. Increased competition has resulted in 9% LIHTC allocations being more difficult to obtain for rehabilitation of aging multifamily properties. 4% bond allocation awards can deliver a more feasible financing solution by providing developers with the ability to rehabilitate projects that might not otherwise score on a competitive round of 9% LIHTCs. Another financial consideration when rehabilitating aging multifamily housing is that of scale. Because 4% LIHTC transactions result in less equity per eligible dollar of cost than 9% LIHTC transactions, developers typically need to pursue larger developments in order to generate enough revenue to size sufficient debt that fills the gap resulting from the lower amount of equity. Rehabilitating a single multifamily property with 4% LIHTCs is often difficult unless it is a large property or significant soft financing sources are available. Rehabilitating multiple multifamily properties within a single transaction – better known as scattered site development – is one way to achieve the necessary scale and make the numbers work. Developers rehabilitate several affordable housing properties that are in different locations – and the properties are financed utilizing a single tax-exempt bond issuance with the finance costs spread over a multitude of properties as opposed to financing each property separately. “Instead of incurring financing costs on one 50-unit project, you might have 400 to 800 scattered site units over which to spread the costs,” said Brent Barringer, Managing Partner of Tidwell Group’s Birmingham office. By rehabilitating a larger number of units through scattered site development, the costs of issuance (finance, bond, and legal costs) are less per unit. So, scattered site deals offer developers a cost-saving opportunity as well as a way to keep affordable units in compliance and online. But Smart Financing is Key to Making Preservation Deals Work . . . While scale and using 4% credits are important considerations, preserving aging housing inventory can be financially risky without the proper know-how and financial planning expertise that is needed to optimize bottom-line profit for developers. In addition to spreading deal costs over a larger number of units, a smart selection of financing products must be used and properly structured in order for scattered site development to provide lucrative results for developers. “A lot depends on the mortgage banker and the bond underwriter, but at the end of the day, Tidwell Group uses deep affordable housing expertise to model some of the different financial scenarios whether it’s Rural Development, HUD, or Fannie and Freddie financing. We leverage our transaction experience and use financial modeling to determine which financing products provide the most benefit to that particular project,” said Barringer. Financing issues are clearly significant factors in the success or failure of scattered site development. One deal may achieve a better cost savings with a Fannie product whereas another deal may have a better cost savings with a Rural Development product. “It’s important to determine financing products on a project-by-project basis,” said Barringer. Terms of 5-30 years Construction/substantial rehab – 221(d)(4) USDA provides a vital financing resource for projects in rural areas. Maximum 85-90% LTV Refinancing of existing FHA-insured loans – 223(a)(7), with supplemental loan Minimum term of 25 years and maximum term of 40 years for loan guarantee. Existing Section 515 loans are typically subordinated to a fresh 515 or 538 loan. Another financing vehicle available to developers are Fannie Mortgage Backed Securities (MBS). MBS are issued as collateral for tax-exempt bonds and offer immediate funding. Developers should note that the interest rate on the bonds equals the interest rate of the MBS. Debt service is paid monthly to the trustee, then passed through to investors one day later. “Given the various financing structures currently available, with more seemingly on the way, Tidwell Group is able to develop financial models to compare the many products side-by-side and optimize which structure works best for our clients. Our clients appreciate this approach because it gives them real options on different aspects of the lifecycle of the development,” said Barringer. Tax-exempt bond financing is a valuable part of many financing structures and offers numerous advantages including lower interest rates, exemption from certain income taxes, longer amortization periods and often times, non-recourse financing. However, affordable housing developers need to be keenly aware of how debt vehicles interplay with the particular facts and circumstances of their specific development deals. There is very little margin for financing error with scattered site development due to the more limited tax credits available through 4% LIHTC deals. Ensuring that financial models are accurate and optimized are key to the success, longevity, and compliance efforts of scattered site development. To discuss your affordable housing project needs, please contact Brent Barringer, Tidwell Group Partner, at 205.822.1010.